Happy first day of fall! To celebrate this amazing season I‘m sharing five of my favorite pumpkin recipes! one. No surprise here – Pumpkin Dip coming in at #1! This pumpkin recipe is one of my top blog posts of ALL TIME with more than 370,000 page views! It is SO good though and is definitely a crowd pleaser. Make it ASAP! two. 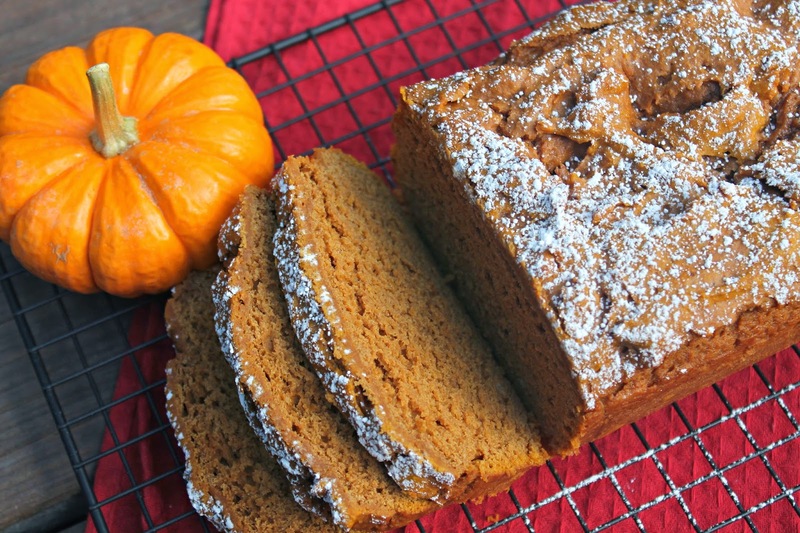 Easy Pumpkin Bread. So this recipe is so dang fantastic because it calls for TWO ingredients. three. Pumpkin Spice Muddy Buddies. My kids flip when I make these. And I kind of do too. 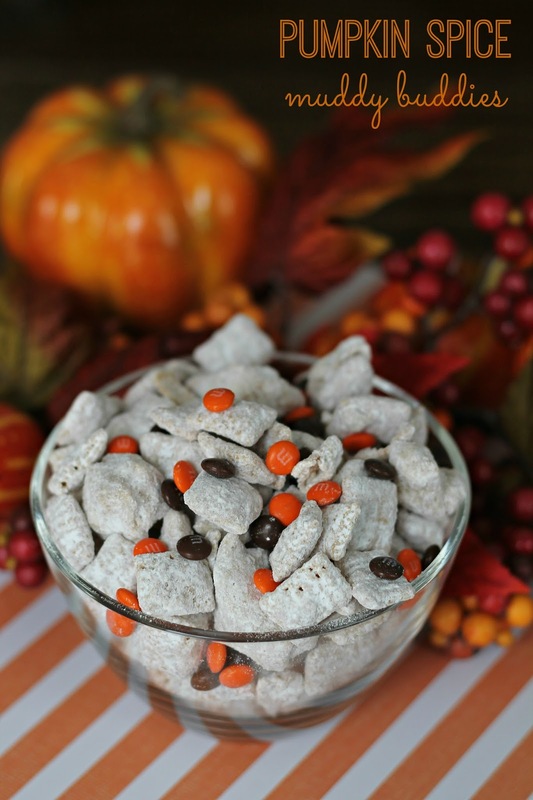 This festive twist on muddy buddies makes this snack perfect for fall! four. Roasted Pumpkin Seeds. Don’t toss your seeds this year while carving your pumpkins! five. Sparkling Pumpkin Beertail. 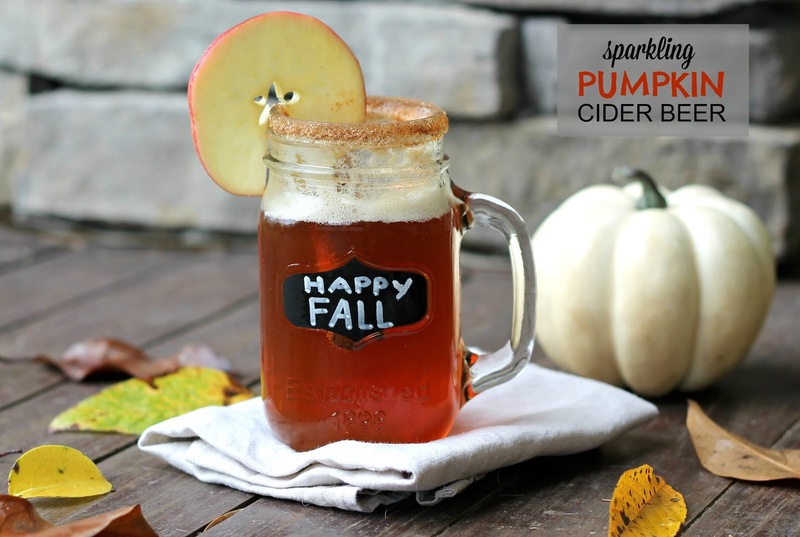 A boozy finale to my round up, this cocktail contains all the best flavors of fall. Should not have read this at eight in the morning…you have me craving beer and muddy buddies before I've even had my coffee (not to mention I'm eight months pregnant and should probably skip the beer). I totally just pinned the pumpkin bread recipe! Yummmm! I've been using your pumpkin seed recipe exclusively since that post in 2012. You should definitely give the Pioneer Woman pumpkin sweet rolls a shot. They're deadly! YUM to all of these! Need to make the pumpkin dip asap! I cant seem to find the link to take me to your Pumpkin Beertail.Also, I made your pumpkin dip last year and will make it again this year.I cant wait to make pumpkin bread – it sounds easy peasy, just what I like!Thanks for sharing!